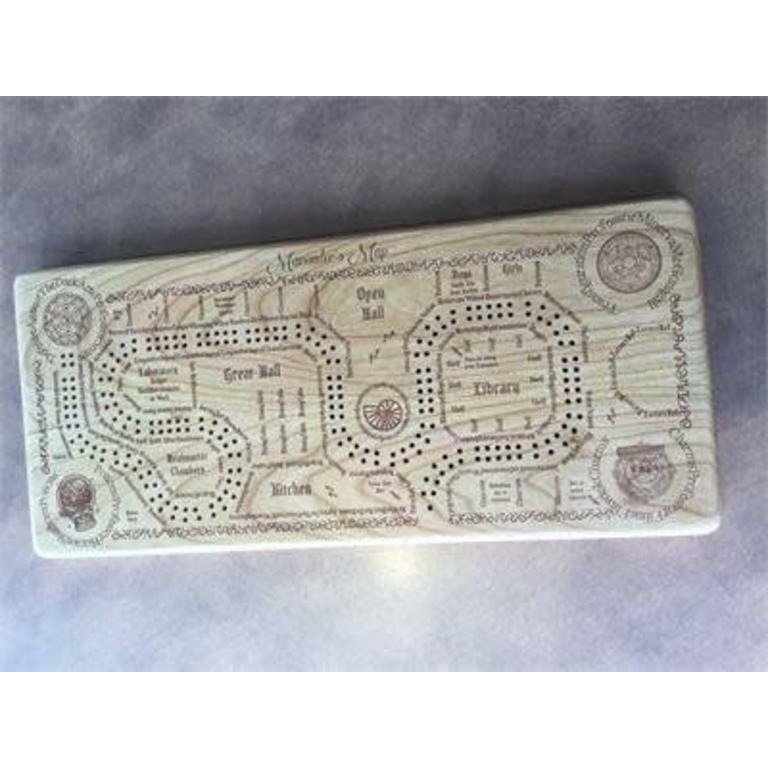 A new 2-lane Cribbage board designed by Unique Wood Products in 2018, this product has been taking off with a running (or flying) start! 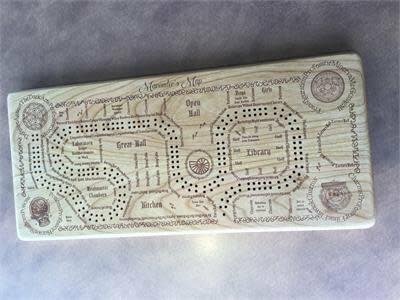 As always, we are proud to have Unique Wood Products under our roof, but this beautifully designed board captures the exact feeling of being a true fan of the Harry Potter franchise! Can you spot all of the magical easter eggs in intricate woodworking? You, too, can join Harry and his classmates for their 6th year at Hogwarts with this special edition board from Unique Wood Products! Pegs and Playing Cards not included.